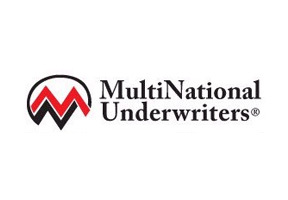 MultiNational Underwriters, established in 1998, is one of the leaders in the international insurance business with a customer base covering over 130 countries. MultiNational Underwriters takes pride in its customer service and exerts every effort give their customers the best possible plans. Backed with state-of-the-art IT services, MNU delivers astonishing service that adapts to the changing needs of individual customers. Policyholders can assess coverage options, get quotes, obtain insurance, and collect their insurance documents 24 hours a day through online services. From its foundation, MNU has provided exceptional customer service by highlighting creative and effective solutions for procedural difficulties and support barriers innate in the insurance industry. In an effort to better meet customer needs, MNU has attracted an expert team of advisers that are unmatched in today's market. Non-U.S. citizens outside of their home country or individuals who want to reinforce their national medical insurance policies. U.S. Citizens who are currently outside the continental U.S.
Educational institutions with students, teachers, or campuses overseas. For more information about Multinational Underwriters or alternative international medical insurance companies, please contact our advisors. MultiNational Underwriters's Home Page - We can pick from a variety of different insurers and compile a list of the best possible plans to fit your insurance needs. Moreover, our insurance plans will cost you exactly the same as going to the insurer directly and our services are provided to you completely free of charge.